I think that is a GREAT idea!! :) That would be fun! This is so cute! I can't wait to see what you change it out with during the holidays! What a great idea!!! Thank you! I'm thinking I should probably get a jump on it since August has already started! Time flies when you blog! Super cute Jess! I love the idea of interchangeable wreath. Thank you Liz! I think it will be really fun to do something for it every holiday! Oh! I got my vintage poster in the mail and it is TO. DIE. FOR. I am in love with it! I'll have to send you a picture of it in its frame when I'm all done with it! Great step by step guide, love this. Putting it on my to do for the fall! Thanks! I love this. What a great way to use up my HUGE stack of burlap in my craft room. Thank you! I LOVE burlap! What a neat idea to just use the same base and change it for each holiday. I love how this one looks! Thank you! My thoughts exactly! Thank you so much for stopping by! It seems I am a little late to the burlap craze, I just bought two yards of it and was looking for a great inspiration piece I might want to make...I just found it! I love that yours can be changed out easily for different seasons or holidays. You're definitely not late! I just recently made this wreath! :) Let me know how it goes! Oh yay! I'm so glad that you came and you've decided to stay! :) I'm honored! Excellent tutorial. The holidays are coming soon ... worth checking this out. They'd make wonderful gifts, too! Thank you! 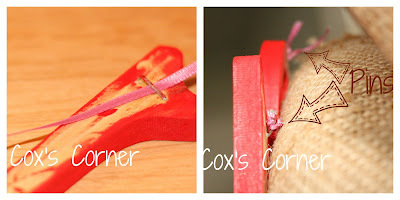 They would make excellent gifts and you could also add little things to decorate them with it. Beautiful wreath! I love the ruffled edge! Thanks so much for sharing at the Pomp Party! 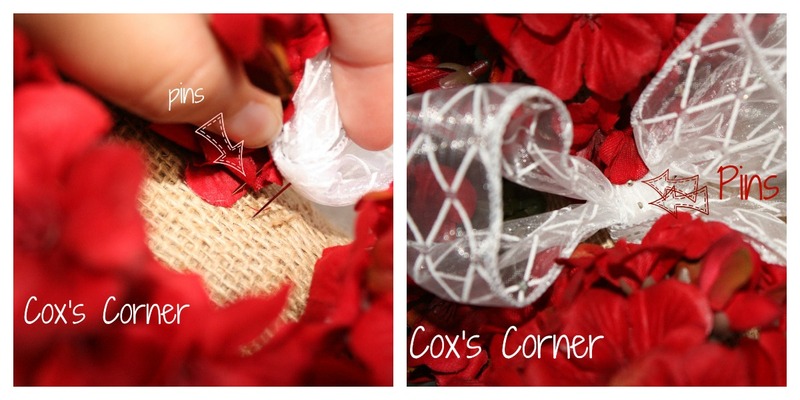 Pinning to our Pomp Party board! Thank you! The ruffle is my favorite part! :) I appreciate the pin! I also appreciate you hosting every week! 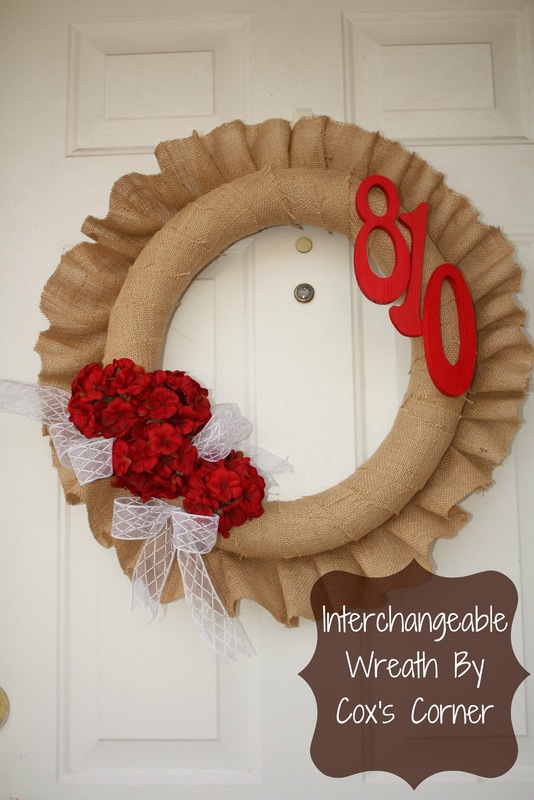 Love this interchangeable wreath!! Thanks for sharing this at Romance on a dime's Take it on Tuesday!! Pinned it. This is both beautiful and genius! Thanks for sharing at this week's BFF Open House. Oh! Why thank you! :) I appreciate the compliments! Thank you for hosting the party! Very Nice wreath - I like that it's interchangeable. Thank you! That's my favorite feature of it! I appreciate you stopping by! This is soo lovely! I just love the ruffle and I am featuring this on the Pink hIppo Party! Oh yay! The ruffle is may favorite part! I am truly honored for the feature! :) You made my day! I love this wreath. Great tutorial. I have a link party on Wednesdays, and I would love it if you would link this post. It is called Wednesdays Adorned From Above Link Party. It goes through Sunday night and then starts again on Wednesday if you miss it today. LOVE the wreath!! So FUN and so BEAUTIFUL!!! Thank you so much for your compliments! And for stopping by! 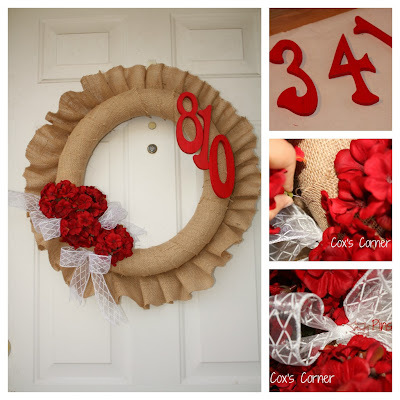 Pretty wreath - and a great idea to make it interchangeable for the season with the decorations! This is a fantastic post! I love that you can change it out for the seasons or whatever the mood happens to be. Very well written tutorial too! I'm pinning this and will be following you now! Thank you so much for your kind words and compliment! I truly appreciate the pin and I'm HONORED that you're following me now! :) Thank you so much for coming by! That wreath is adorable. I love how natural and classic it looks. Thank you! I really like it too! I appreciate you stopping by! What an adorable wreath!! My Get Social Sunday link party is live. Would love to have you come link up your homepage and promote your blog! Thank you so much! And thanks for the invite to your party! 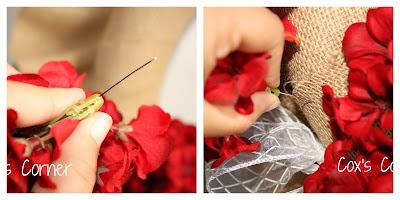 Gorgeous - I have a little bit of a thing for wreaths, can't wait to see what you do to dress it up for special occasions! You have a great blog, I'm following you on GFC now. Angela, Thank you! I do too! I'm planning on dressing it up for halloween soon so I can get a tutorial up! I am so honored that you're a follower now! I'll have to stop by and visit! Interchangeable is so up my alley! I am a terrible crafter because I am always wondering how "useful" the project will be and I am not very motivated to create something I don't really need. This is a great idea! Thank you so much for stopping by and for hosting the weekly party! I know that they're a lot of work. You're amazing Tauni. Have a fabulous day! Wow you are just awesome. What a great idea! Love this so much! You are so nice! Thank you so much for your kind words! Also, thank you so much for hosting the weekly party! I'm honored to have you as a follower! This is soooo cute! I love wreaths but I haven't made one since July and it would be nice to have a backup on hand when I'm slacking until I can make the appropriate holiday wreath. Thank you! It would be the perfect in between wreath! It definitely can buy you some time! Thank you! I wish I knew what coxcomb was...I'm totally going to have to google it! I totally might have to replace the flowers! :) Thank you so much for stopping by! I just wanted to thank you again for your feature! It really is an honor! I'll defintely be linking up every week that I can! Great job! I love it! Thanks for joining the party at One Creative Weekend! Thanks Heidi! I love your parties! Just wanted to let you know this was featured at I Freakin did it Friday @ Miss Information, hope you’ll link up again today! You're so sweet! Thank you so much for your comment! This is fabulous! Thanks for sharing at Snips and Spice Sunday Slice. Thank you! Thanks for hosting the weekly party too! This is an adorable wreath. Thanks for stopping by Show Me What You Got Tuesday's at ODH. Thank you! I appreciate you hosting the weekly party!